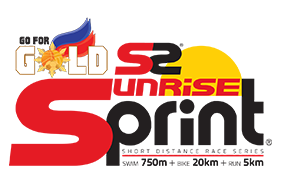 Olympic distance race to be held at triathlon capital | Sunrise Events, Inc.
Sunrise Events stages its final race in the Philippines this year on November 4, 2018 with the Black Arrow Express 5i50 Triathlon in the country’s widely acknowledged triathlon capital Subic Bay. 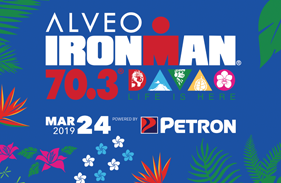 Most triathlon races held there start in the pristine waters of Subic Bay and then traverse the traffic-free roads inside and around the Subic Bay Freeport Zone on bicycle and on foot. 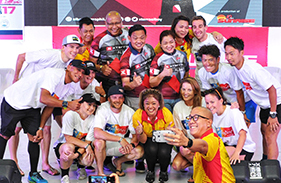 Sunrise Events President and founder Wilfred Steven Uytengsu said he is pleased that the Olympic-distance race Black Arrow Express 5i50 Triathlon will be held in Subic which has been the home for triathlon ever since he could remember. 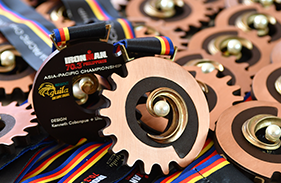 Triathlon races include the full IRONMAN distance of 2.4 miles (swim), 112 miles (bike) and 26.2 miles (run); the half IRONMAN or 70.3 of 1.2 miles (swim), 56 miles (bike) and 13.1 miles (run); and the Olympic distance or 5150 of 1.5 kilometers (swim), 40 kilometers (bike) and 10 kilometers (swim). 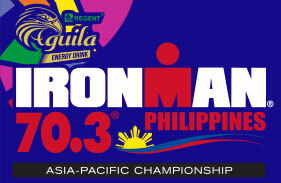 Uytengsu said he has been in the sport since 1987 and has done his fair share of races in Subic. It does not only have excellent roads and facilities to hold the races but that authorities from the local and national government as well as businessmen and members of the private sector have been very helpful and supportive of races held in Subic. “They have tremendous infrastructure. They have been incredibly cooperative. They really work with us. They’re great partners. 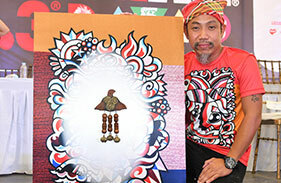 And that’s why we’re here in Subic,” said Uytengsu. 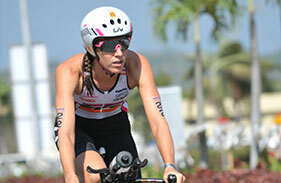 Some of the biggest national and international triathlon races have been held in Subic. 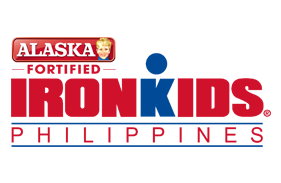 These include the recent 2018 Century Tuna IRONMAN Philippines which is the first full distance IRONMAN held in the ASEAN region. Black Arrow Express is one of top 10 cargo movers in the Philippines. It moves cargo from 500 grams to 500 tons. The company offers integrated end to end Express Logistics solutions tailored to service the eCommerce industry. 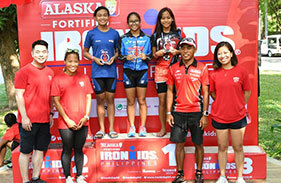 Black Arrow Express President Allan Brizuela said the company exemplified the same spirit and values of the triathlon. Black Arrow is committed to move goods and services often go through various modes of transport over land, air and sea. 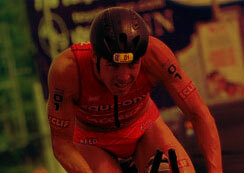 “The same commitment to finish to the ‘last-mile’ is often the most grueling part of the race. Same goes for the Black Arrow which delivers to their customers’ doors by foot through rain and flood sometimes,” said Brizuela. 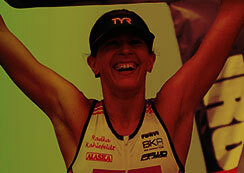 Black Arrow Express is the perfect title sponsor for a triathlon race. The swim of Black Arrow Express 5i50 starts and ends at ACEA beach with swimmers following a counter clockwise route. 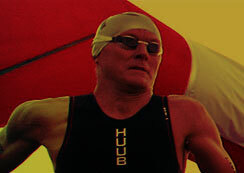 After completing the swim, participants will leave the beach and head to transition 1 at ACEA Subic Bay parking lot. They will then push their bikes to the bike mount area in San Bernardino Road. On their bikes they then turn right to San Bernardino road and then turn left to Argonaut Highway. They then complete the bike loops and exit to Rizal Drive and enter Transition 2 at Remy field. 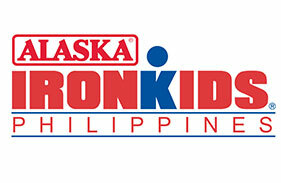 The run will have a two five-kilometer loops. Participants will exit Burgos Street, turn right and head to Waterfront road. They then pass the light house and turn around. They then complete the loops and head back and race to the finish line in Remy Field. 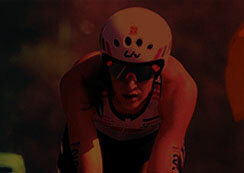 Subic Bay hosts another world class race in the Black Arrow Express 5i50 Triathlon. 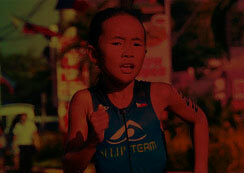 Visit the website www.blackarrowexpress.5150philippines.com to learn more details or to register in the race.